January 5th: What's On Today's Show : Blog Of The Nation In the first hour of today's TOTN, the new laws that may affect you in 2012 and columnist Cynthia Tucker on the state of opinion journalism. In the second hour, the long-misunderstood period of middle childhood and why patients want to see their doctors' notes, but physicians remain reluctant. This week ushered in the new year — and with it, a raft of new laws across the country. Many of the 40,000 new state laws passed in 2011 took effect this week, others roll out in coming months. The new state laws reflect nationally controversial issues like immigration, abortion and government spending, but also regulate very local concerns from requiring the teaching of the historical contributions of gay and lesbians in California schools to limitations on when New Yorkers can fertilize their lawns. NPR's Corey Dade and Pam Fessler join guest host Jennifer Ludden to discuss the new laws of 2012, and to take a closer look at state laws regulating immigration and voter identification requirements. After more than two decades as a columnist for the Atlanta Journal-Constitution, Cynthia Tucker left the paper to become a visiting professor at the University of Georgia. Tucker served as editorial page editor for the paper for 8 years until she was reassigned to Washington to be a political columnist. In 2007, she was awarded a Pulitzer Prize for her writing on issues including voting rights, racial stereotypes, and issues in the African American community, which the committee applauded for being "clear-headed" and "courageous". Guest host Jennifer Ludden talks with Tucker about her long career as a columnist and the role of opinion writing in journalism. Middle childhood was often thought of as a developmental placeholder between the toddler and teen years. But recent research shows that important brain and hormone advances occur during middle childhood. A recent special issue of the journal Human Nature explains that children learn to reason, control impulses, understand and accept mortality and plan for the future, among other developmental milestones. Guest host Jennifer Ludden talks with Natalie Angier of The New York Times about what researchers are learning about middle childhood and how a child's behavior changes during this stage of their life. 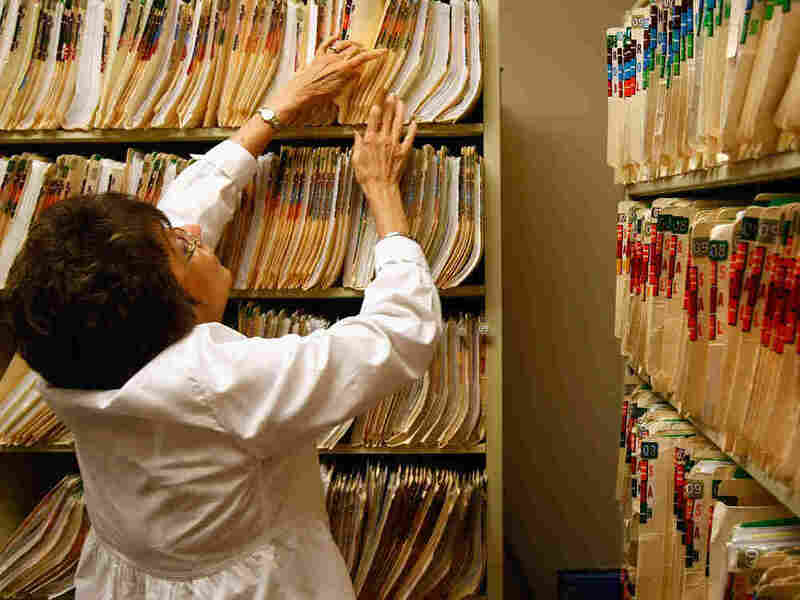 Should Patients See Their Doctor's Notes? More than 90 percent of patients in one survey said they'd want to know what doctors write in their charts. The majority of doctors, though, are reluctant to share their exam notes with patients. Many physicians jot down insights and comments about patients and treatments and worry that sharing such information could lead to misunderstandings and unnecessary concerns among patients. Guest host Jennifer Ludden talks with Time magazine staff writer Alice Park about why patients want to see what doctors are writing in their charts — and why most practitioners are wary of the idea.